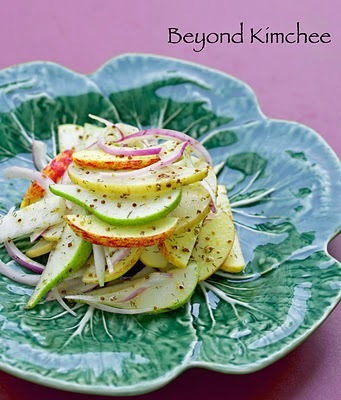 You are here: Home > Archives > Recipes > Western Recipes > Appetizers and Salads > Apple pear radish salad, what shape are you? A blonde was passing a fruit stand when she suddenly realized how hungry she was. “Give me a pear, please.” said the bouncy blonde. “That will be fifty cents.” said the clerk. She ate the pear, but was still hungry, so she ordered another. Still hungry after the second pear, she ordered an apple. After eating the apple she was finally full and wanted a drink, but found that she didn’t have enough money left. 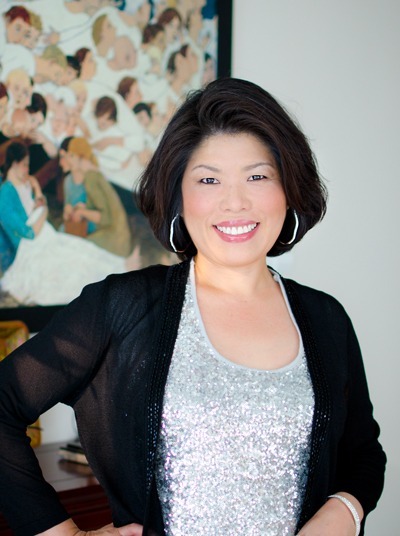 Today my friend, Marj, asked me how I maintain so thin… I laughed so hard at her because definitely she has never seen the layers of rice fed meat dangling down from my belly hiding underneath the loose garment. It’s been 10 years since I heard someone asked me that question. I think my body has gone through quite a transition from one shape to another since then. Well, who cares? As long as they are fresh, firm, juicy, and sweet inside that’s what matters the most to me. No apples or pears are created equal. They are all unique and special on their own. Just like us…. each of us have different rays of beauty. How wonderful is that? As I was thinking of our unique body shapes(? 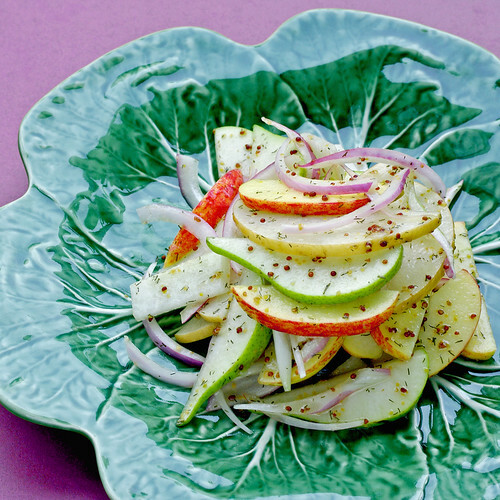 ), I made apple and pear salad matched with radish and red onion in a simple whole grain mustard dressing to make very refreshing yet elegant enough to serve your guests. I use 2 kinds of each apples and pears in this salad. 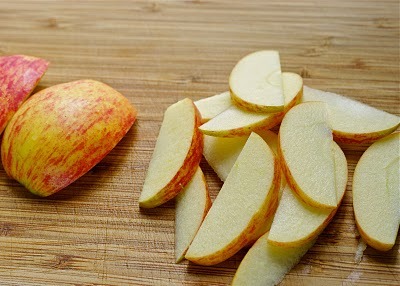 You can use any apples and pears you like but keep in mind that THEY HAVE TO BE FIRM AND CRUNCHY! You don’t want to bite on mushy apples. I used a Japanese Ohrin apple(similar to golden delicious), a gala apple, an Asian pear, and a Bartlett pear. I highly recommend to include the Asian pear in this salad. No pear can be compared as juicy, crunchy, and sweet as Asian pears. 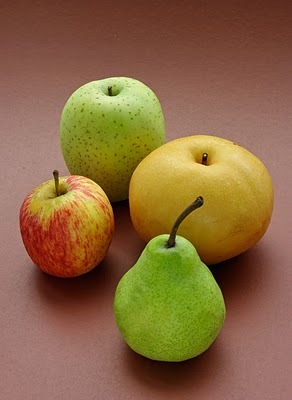 These Asian pears are widely available in any stores these days. 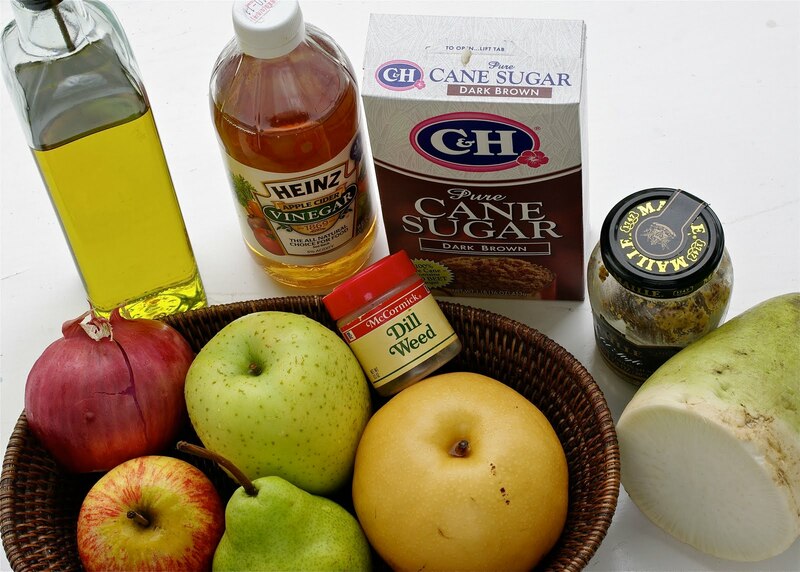 You will need; olive oil, cider vinegar, brown sugar, whole grain mustard, radish, dill(fresh or dried), red onion, salt, and assorted crunch apples and pears. Also some salt and pepper to taste, of course! 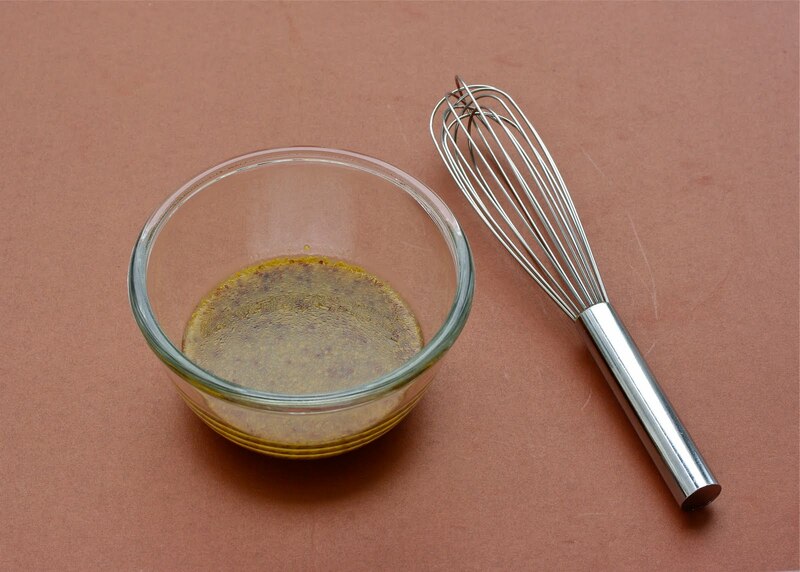 and whole grain mustard in a bowl. I love the name “WHOLE GRAIN”! 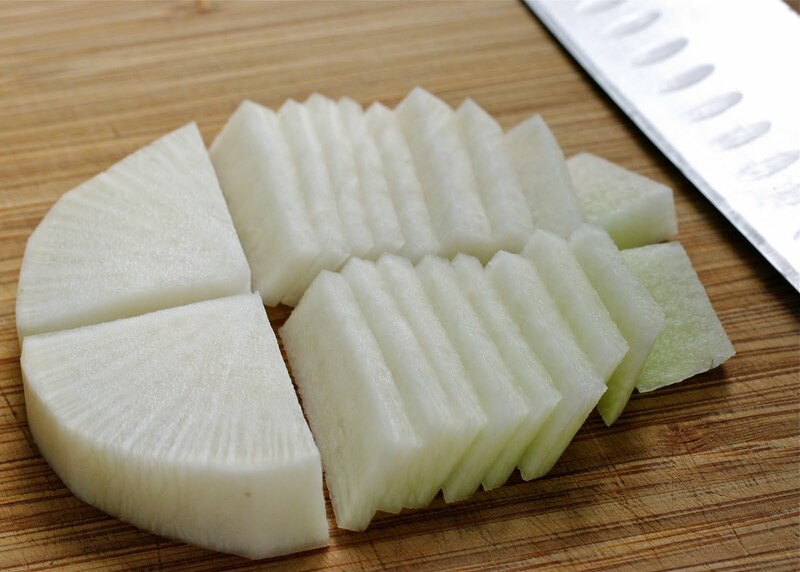 Peel off outer layer of radish and cut them into thin slices. Radish will bring a nice counter balance to the salad along with onion. 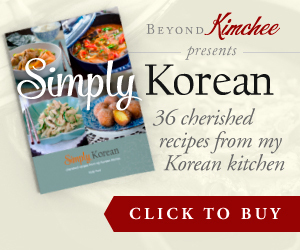 You can use any radish you like. 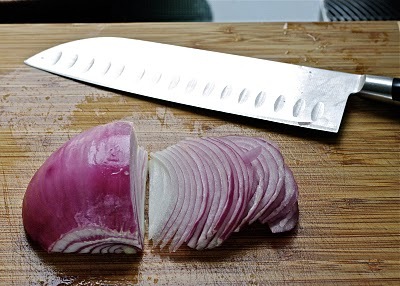 Slice the red onion as thin as you like. My santoku knife is shouting for his shining moment! 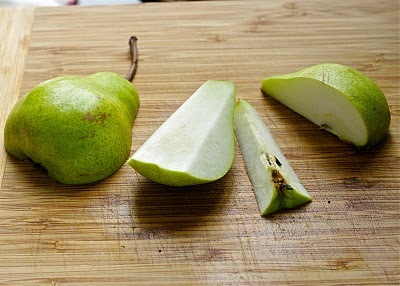 Quarter the pear and cut off seeded center. Slice them as thin as you like. Make sure you wash your apples and pears squeaky clean before cutting. Throw them in a large mixing bowl. 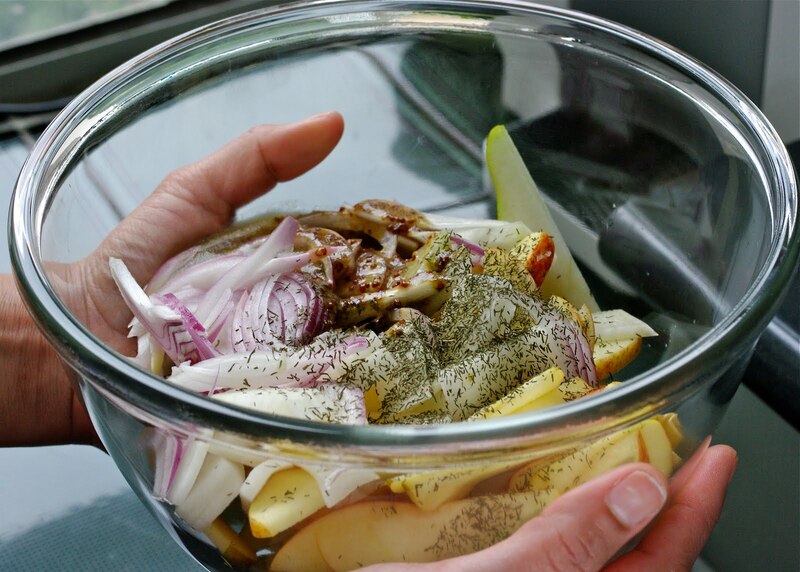 Sprinkle dill and the dressing. Fresh dill will bring a nicer flavor but dried one will do fine. Easy, simple, yet colorful and they taste sooooo refreshingly good! 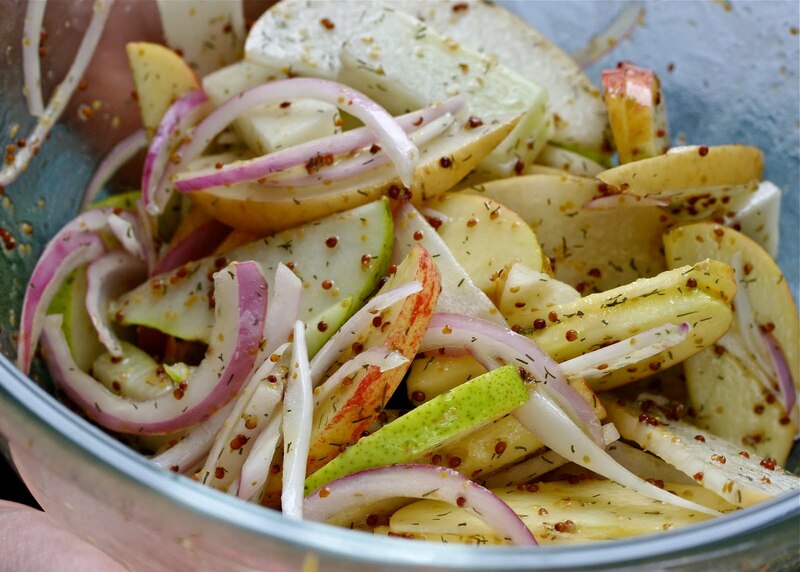 This salad will compliment well to any BBQ or potluck. They travel well and can be chilled up to an hour before serving. Whisk all the dressing ingredients in a small bowl. Set aside. 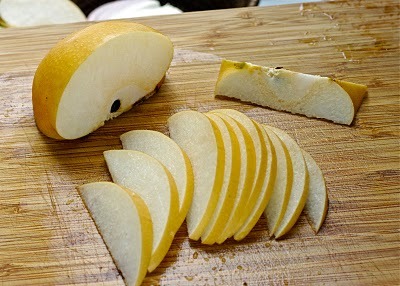 Quarter the apples and pears, cut off the seeded centers. slice them as thin as you like. Combine apples, pears, radish, onion, dill, and the dressing in a mixing bowl. Toss well. Serve cold. Can be chilled up to 1hour. I made this yesterday and it turned out beautifully. My daughter, who decided to become a vegetarian a month ago, almost ate the whole thing. Wonderful! I'm glad that she loved it.